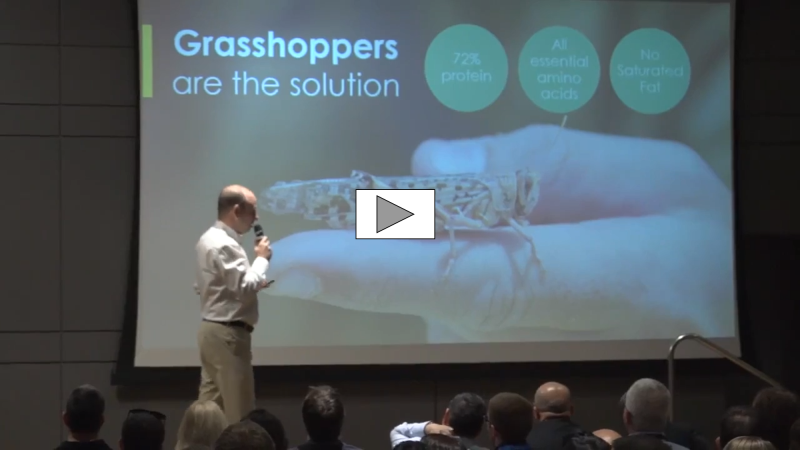 Hargol develops unique technologies for the cultivation of grasshoppers for protein. The company manufactures whole grasshoppers and grasshopper-based protein powder. Hargol has won dozens of international competitions and holds strategic partnerships. Protein is essential for nourishing the human body and plays an important role in many bodily processes: building cells and tissue, building muscle, producing enzymes, brain development, strengthening the immune system (antibodies), carrying oxygen in our blood, hormonal regulation and more. Poor protein intake can lead to a wide range of diseases, including endocrine problems, immune system damage, fertility problems, loss of muscle, skin elasticity damage, fatigue, hair loss, developmental impairment and, in severe cases, death. The World Health Organization recommends the consumption of 0.8 grams of protein per kilogram of body weight for adults and at least twice that for children and babies. Protein deficiency is one of the major problems of the developing world. About one billion people in the Third World suffer from protein deficiency, resulting in a variety of diseases and symptoms. Global demand for protein is expected to double over the next few decades. Many of the existing protein sources are becoming depleted and the animal-based sources cause significant environmental damage. Today there is a race to develop alternative protein sources that will be healthier, more sustainable and be able to feed the rapidly growing human population in the coming decades. Grasshoppers are a very effective source of protein, but today their supply comes from wild gathering, which is limited in quantities and to a very short season (4-6 weeks a year). 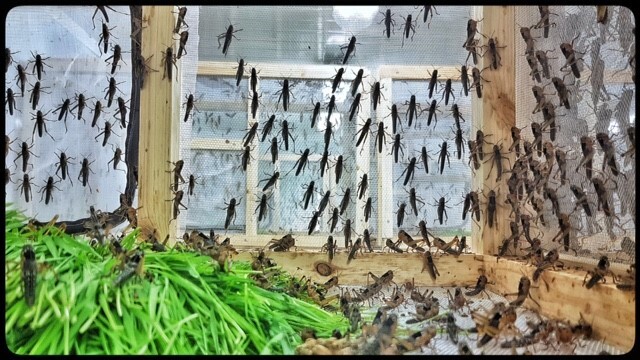 Hargol FoodTech is the only company in the world that has been able to successfully establish grasshopper farms in which grasshoppers are cultivated yearlong in massive quantities. This groundbreaking achievement changes the face of world nutrition by providing high quality, healthy, available protein on a commercial scale, and with minimal impact on the environment. Grasshoppers are the most effective protein that nature can produce: They are healthier for humans (70% protein without processing), contain all the essential amino and fatty acids, and have very low percentages of saturated fat and cholesterol. In addition, grasshoppers are 20 times more efficient to produce than cattle. Their growth requires small amounts of water, food and growing space, and they are 100% exploitable when compared with cows (less than 50%). A controlled environment with ideal conditions for cultivating grasshoppers of high and uniform quality throughout the year. Accelerated incubation of the hatching eggs, whereby the natural 40-week incubation period is reduced to only 2 weeks. Unique cage infrastructure for vertical agriculture (growing to height), which increases production per unit area 10 times, and allows full control of the humidity levels and regular evacuation of discharges for maximum sanitation. The company's developments make the cultivation of grasshoppers very efficient and can be replicated in large volumes under various climate conditions. Grasshoppers contain more protein than other insects - 15% more than crickets and 40% more than mealworms and flies. 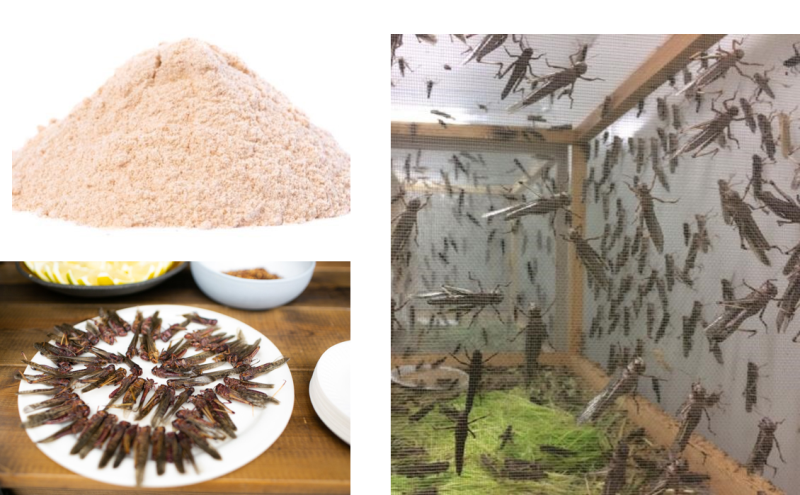 No further processing - due to the high protein content, no further processing (production and separation) of the protein in the grasshopper is needed, compared to the processing required for other insects. The flavors and smells of the grasshoppers are close to neutral, while other insects have dominant tastes and smell and thus pose a challenge to the food industry. The grasshopper protein is the only one known as kosher for Jews and halal for Muslims. This is a significant marketing advantage in the US and Europe, where kosher food is perceived as healthier and cleaner. Grasshopper protein is better absorbed in the body than other animal and vegetable sources (meat, soy, seaweed etc.). Chanan has been Growing & breeding insects and livestock for 30 years. He is known in Israel as an “insects magician” with abilities to acclimatize, develop and grow a wide range of insects in climate-controlled environments and in large scale. Chanan has been working and developing edible insects and other beneficial insects to support the growing entomophagy movement and other mankind needs.